2015 is in like a lion! Lots happening on the slopes to improve our trails and create connectivity in our network. 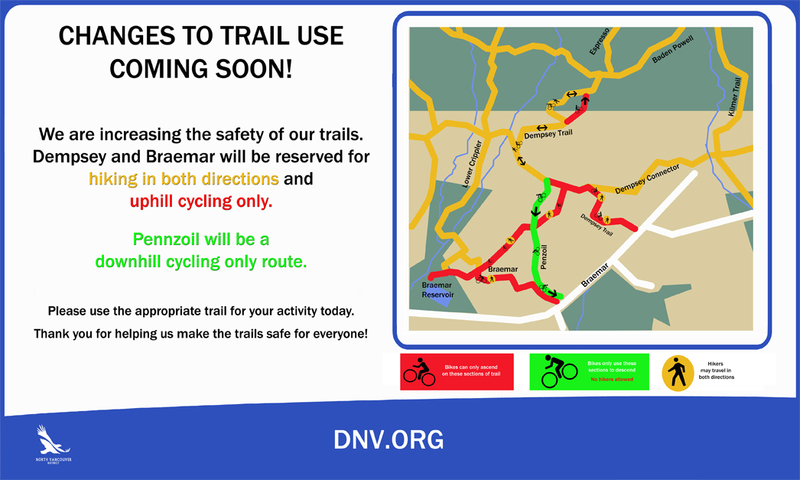 Already, there have been 8 trail days as part of the Trail Adoption Plan. Thank you to all of our Adopters for their participation ito help with the heavy lifting and to the 2015 TAP build leaders, for your leadership and vision. 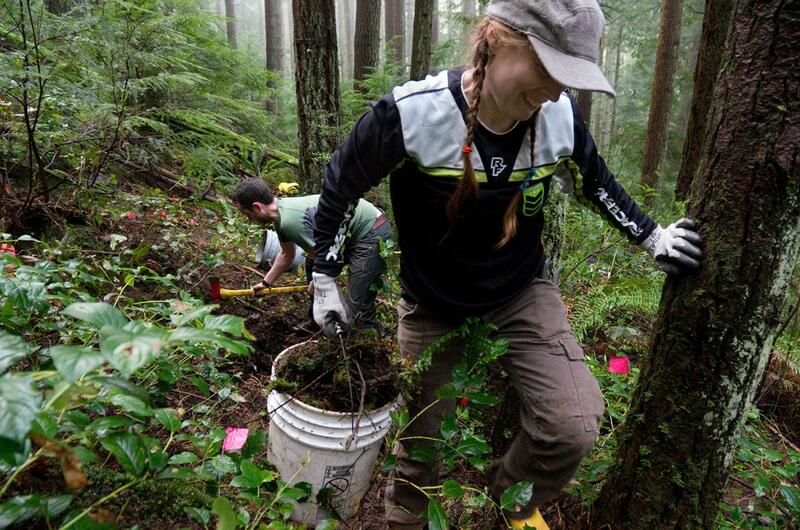 Last year TAP accounted for over 90 trail days and since inception in 2011, over 15 000 hours of labour! Nearly complete, Pat Podolski has led the efforts on this BC Hydro revitalization to realign sections and repair hazardous woodwork. Thanks to funding from the Young Family Foundation, Digger has completed the improvements to create a true beginner loop on Circuit 8 including a new section of trail to the Giant Stump! Thanks to support from Sacré-Davey Engineering to address erosion and water dispersion on the Griffen's. 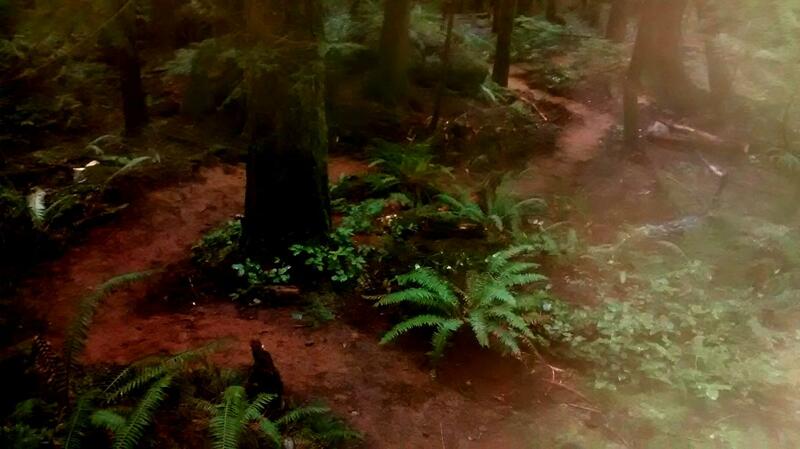 One week of dirt work left, Digger has made improvements along the full length of the trail. The NSMBA will replace the bridge above Immonator before summer. Before & After improvements along the BP from Expresso eastward to address hazzards and improve user experience. Original woodwork was out-cambered on downhill grade posing a significant hazard alongside a creekbed. 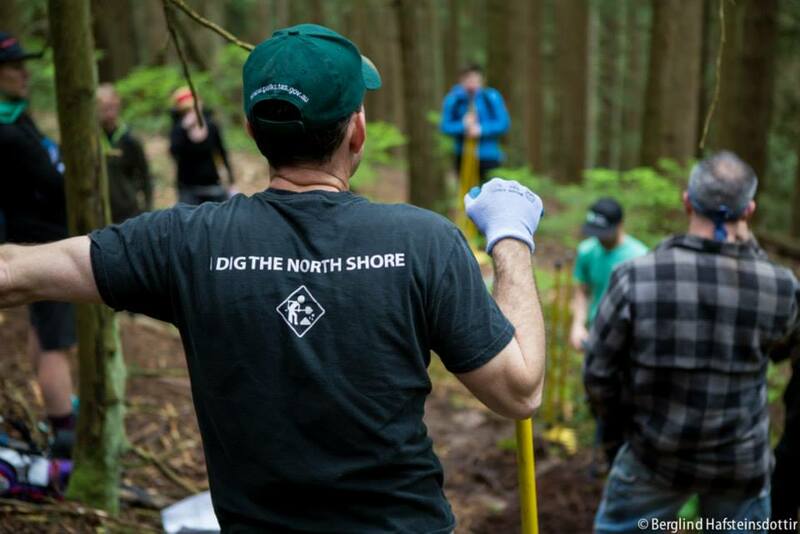 Thanks to the efforts of our community, the Climbing Route on Fromme will officially open April 11th to mid point on Executioner after the Race Face Shorps Corps creates a new entrance off Lower Crippler. This will complete Phase 3 of the route. Phase 3 has twinned sections of Dreamweaver for directional use and re-aligned the old Executioner exit to utilize as climbing access. The work on the climbing route has been a long journey only made possible through the passion and hard work of hundreds of volunteers. The journey isn't over yet, but we are up to the challenge. Rapid Transit Connector (RTC) has been opened as has R & R Climber (Rest & Relaxation – yeah right!) to finalize some West-East connecting options. Please adhere to directional usage on R & R as climbing only and on RTC as two way – courtesy has right of way. Climb R & R into CBuster to access Penny Lane to enjoy a mid point descent on Severed. Or take the Academy Climb to RTC to Penny Lane (view route). Or climb R & R to RTC to RT to Salamander to…well, you get the point! This area has long been a vision of Matt Preston to create a Shore version of the Lost Lake area in Whistler. The RTC was given a formal entrance this spring. Crossing a wide swath of seepage presented its challenges on R&R. Thanks to leadership from Martin Newman & Penny Deck and the hard work from members of the Race Face Shore Corps, Penny Lane is now complete and ready to ride. Climbing-only from the junction of C-Buster and Shorn the trail connects up to Severed just above the steep chute. Click HERE for route suggestions. Please yield when crossing Shorn and use as directional uphill only for bikers. Braemar Access "For the Kids"
Thanks to the vision from lead builder Randy Konrad, the DNV is sanctioning access from the Braemar tennis courts. The DNV has proposed directional usage as outlined in the below map. To clarify: bikes will descend Pennzoil, not lower Dempsey. Fromme Environmental Study released by the DNV. Please read to familiarize with the current issues on Fromme. The study was conducted in fall of 2014. The DNV has inspected and deemed the woodwork in the area as a hazzard and have removed. 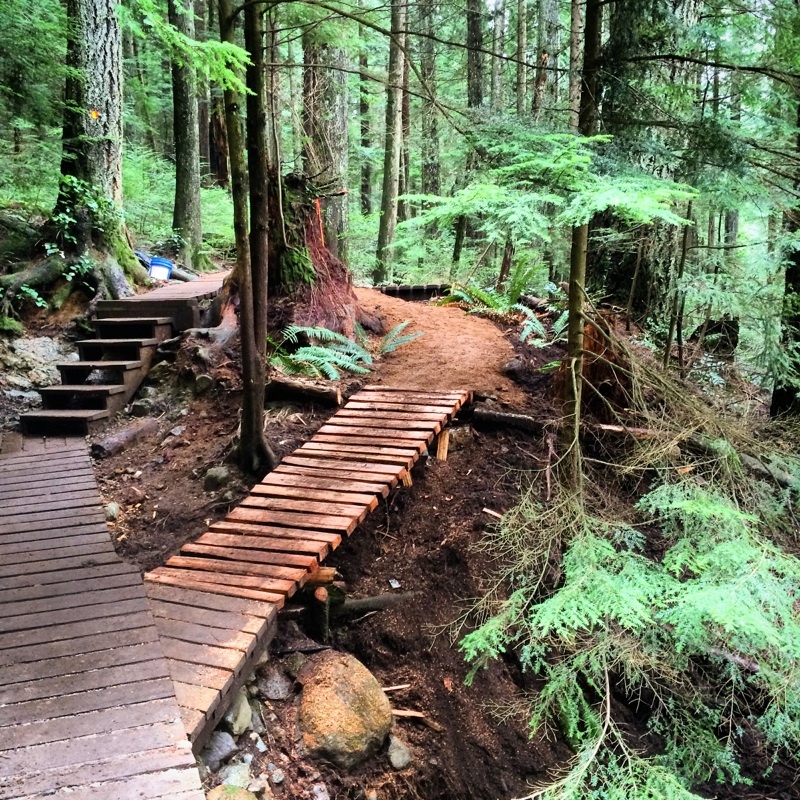 The NSMBA is working with the DNV to create a plan to implement this summer that includes a new pump track and dynamic jump zone for skills progression.